﻿ Welcome to Future Stars Camps! For over thirty years, Future Stars has been providing families in Westchester, Manhattan, Fairfield, and Long Island with the most outstanding specialty day camp programs in the New York Metro Area. Aspatuck Tennis Club is a perfectly manicured, privately owned tennis club located in the heart of the Village of Westhampton Beach. Campers will have access to Aspatuck Tennis Club's 9 Hard-Tru tennis courts, club house, pro shop and locker rooms. Future Stars Tennis Camp at Aspatuck Tennis Club will offer a premier tennis program that runs Monday-Friday from 9 am to 2 pm. 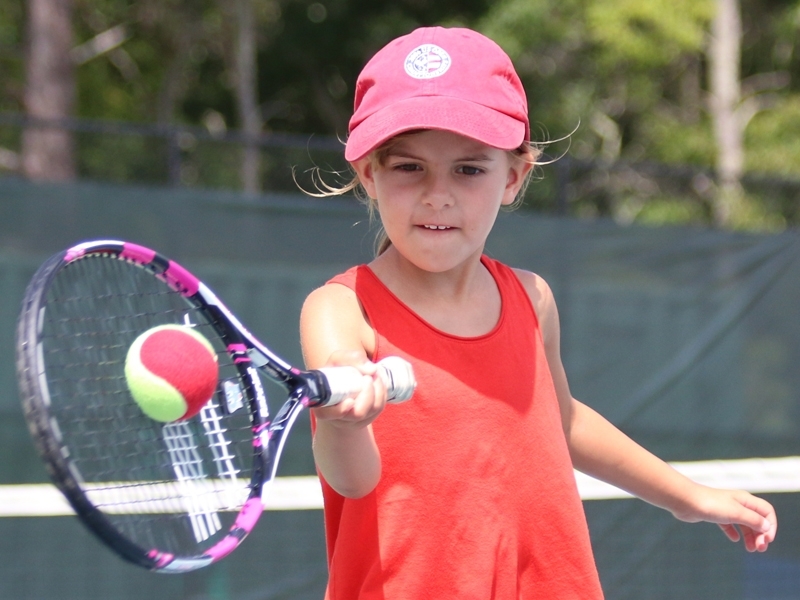 Tennis Camp is individually designed to methodically challenge players of all levels, ages 6-16. Throughout the week campers are encouraged to enhance their strokes and strategies via group lessons, skill building drills, organized play, individual attention, video sessions, target training and fitness routines. Campers will receive 3-4 hours of top flight tennis instruction, including fundamentals, stroke production, point play with strategy emphasis, and match play competition. All campers are carefully grouped based on age and skill level. 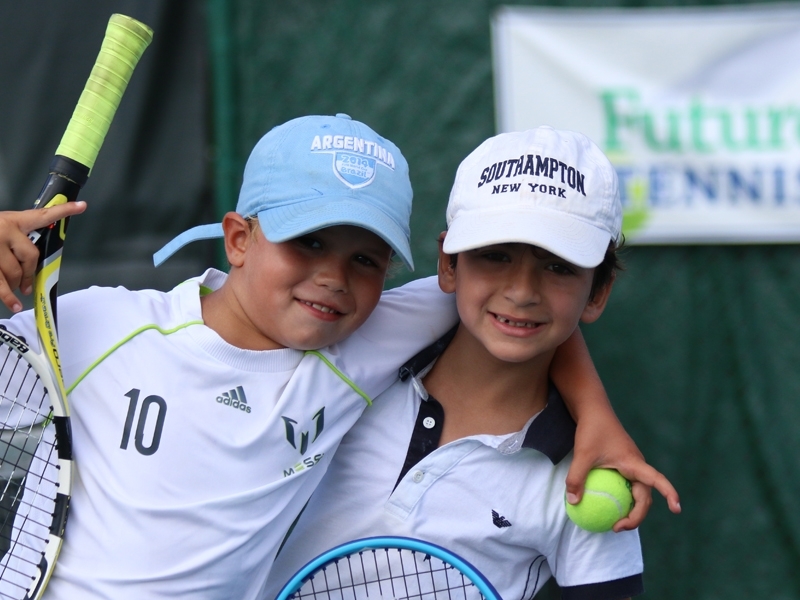 Future Stars Summer Camp at Aspatuck Tennis Club will offer a premier tennis program that is individually designed to methodically challenge players of all levels, ages 6-16. Throughout the week campers are encouraged to enhance their strokes and strategies via group lessons, skill building drills, organized play, individual attention, video sessions, target training and fitness routines. Each day campers receive 3-4 hours of top flight instruction, including fundamentals, stroke production, point play with strategy emaphasis, and match play competition. All campers are carefully grouped based on skill level and age. Older players who have already achieved a high level of play are invited to participate in our tournament training program. In addition, campers also enjoy other activities such as baseball, soccer, and a visit to the nearby beach. Aspatuck Tennis Club in the heart of the Village of Westhampton Beach is a perfectly manicured, privately owned tennis club. The club has 9 Hard-Tru tennis courts, a club house, pro shop and locker rooms. 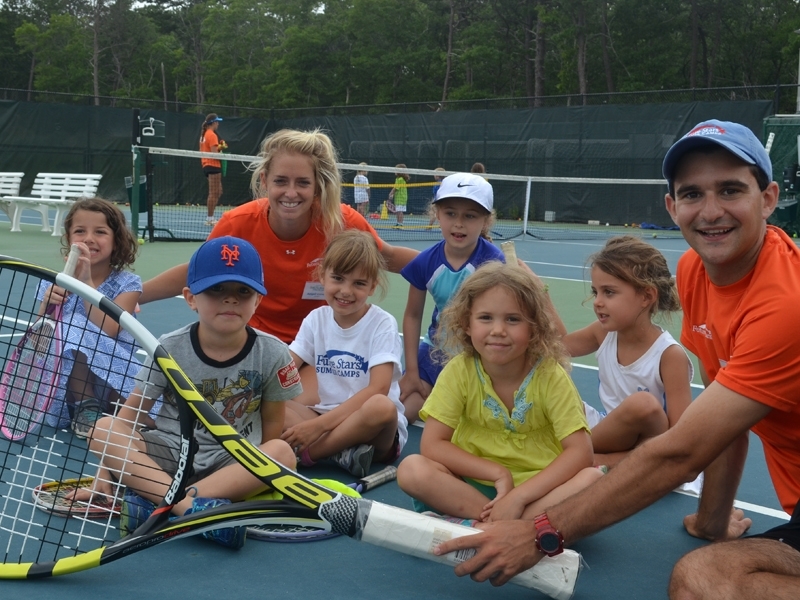 Future Stars Summer Camp at Aspatuck Tennis Club has exclusive use of the athletic facilities. Campers will be able to utilize play on Aspatuck's 9 Hard-Tru tennis courts. They will also have access to the club house, pro shop and locker rooms. When campers bring their lunch it will be collected and refridgerated throughout the day and distributed at lunch time. Summer 2018 programs will run from June 25th to August 24th. Flexible weekly scheduling is available. Each camp week is Monday to Friday, 9am to 2pm. Pricing is time sensitive as outlined below.